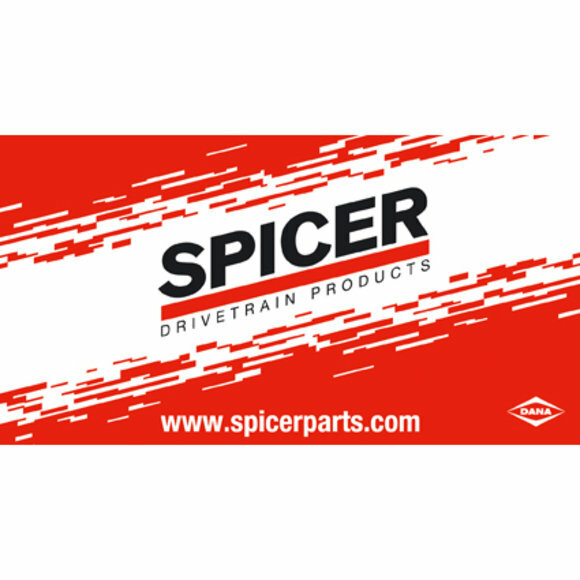 Banner "SPICER" made of Polytaf Plus (100 % polyester material, 110 g/sq.m. ), special brand quality, with sewn-in lines on the upper and lower edge (about 150 cm) for attachment, size approx. 150 cm x 80 cm, horizontal format.